For the Song ceramic inspiration of this form, compare the vase with 'apricot leaf decoration' included in the National Palace Museum, Taipei, Illustrated Catalogue of Sung Dynasty Porcelain in the National Palace Museum, Southern Sung Kuan Ware, pl. 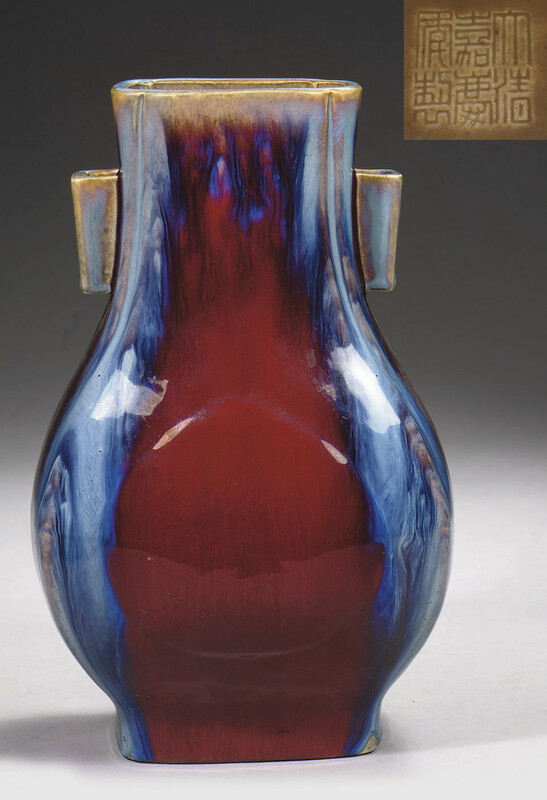 13, which is incised with a Qianlong poem on its base; and a guanyao vase with indented corners on the neck in the Freer Gallery of Art, illustrated in 'Oriental Ceramics, The World's Great Collections', 1981, vol. 9, no. 44.